The Lake Washington Kangaroos pounded out 13 hits including two homeruns to best the Redmond Mustangs, 9-6. 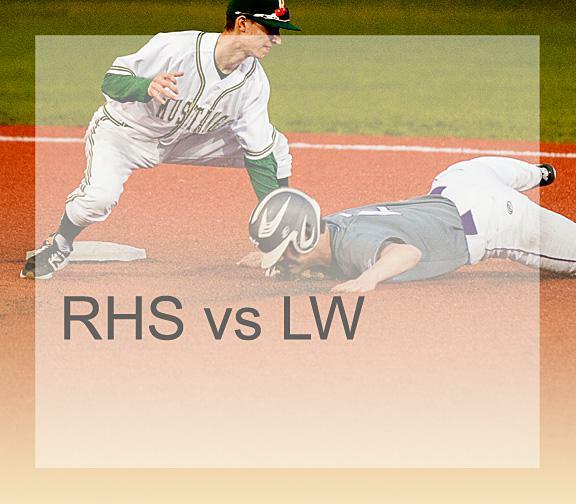 LW would score runs in 5 of the first six innings and held an 8-1 advantage over Redmond. However, in the bottom of the 6th the Mustang bats awoke. Junior Spencer Uyematsu led the inning off with a double. One walk and one error later and the bases were loaded. Another miscue from LW and a double from sophomore Hunter Petit, and Redmond closed the gap to 8-5. Dustin Lennon-Jones later lined a two out single to make it an 8-6 game. However, the rally was snuffed out, LW would hit a lead-off homerun in the top of the 7th, and the game ended there with a 9-6 score. Redmond now finds itself with a very busy four game week beginning with a Monday contest against undefeated Mercer Island. The game is at the recently renovated Island Crest Park at 4:30.